it`s so cool and exciting and thrilling all at the same time! It was an amazing movie. The scenery is incredible! 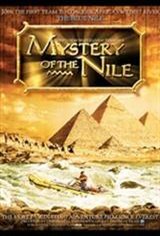 "Mystery of the Nile" was absolutely fantastic! Since I am a photographer, I often wondered how the photographer was able to get all those unbelievable shots! It was the most wonderful adventure I have been on. I was so good I am now going back and bringing my children to it. Because of this show I will come back again and again to IMAX as I got the full understanding of the IMAX as I had gone to see the Vikings and I thought that was good until I say Mystery of the Nile. I thought it was wonderful, but how do I obtain a CD of the music?